September is National Preparedness Month, which encourages people to take steps to prepare for emergencies. For pet owners, emergency preparedness also means making plans to protect your dogs, cat and other pets. Pet safety is an important part of DogWatch’s mission, so we’ve researched this important issue, and compiled some key steps that you can take to keep your pets safe in the event of an emergency. ID tags are always a good idea, even in everyday situations. Should your pet become separated from you, an ID tag with the pet’s name, your name and your contact information will help rescuers find you as soon as possible. If your pet has any urgent medical needs or conditions, it should also be explained on the pet’s tags. Microchips offer a more permanent tagging solution for pet owners. These chips, implanted under the animals skin, contain registration numbers that can be obtained via a handheld scanner. Shelters and animal hospitals across the country can then contact a registry, and uncover owner contact information and pet medical information. Microchipping is increasingly popular among pet owners, and the process of inserting the chip is quick and does not even require anesthesia. If you are interested in learning more about microchips, contact your veterinarian. In addition to tagging your pet, you can also tag your home. Pet stores, as well as the ASPCA, offer Rescue Alert Stickers that you can place on your window to alert rescue workers to the animals in the house and the contact information for your vet. 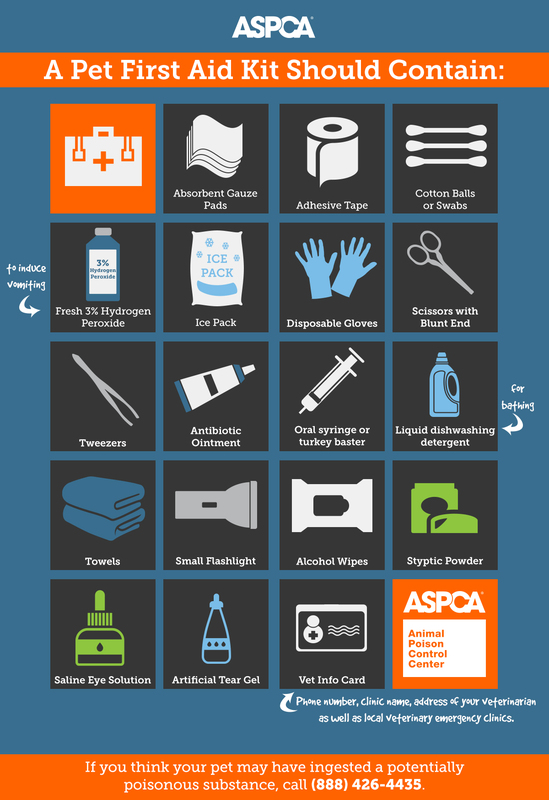 To get a free pet alert sticker (see right) from the ASPCA, fill out the form found here. We encourage you to visit the ASCPA’s website to learn more about disaster preparedness tips, especially for those of you with horses, birds or smaller animals (rabbits, gerbils, hamsters, etc.) who want additional information about those pets. We also value your feedback on this issue. Have you been through an evacuation or other extreme situation? What steps did you take to protect your pets? Do you have any advice for your fellow pet owners? Tell us in the comments below, or on our Facebook page. This blog post is an updated version of an earlier post published in April 2011.